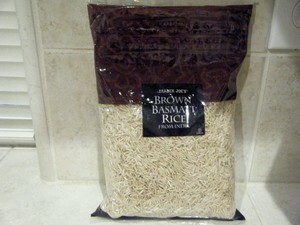 Rinse rice well and drain. Add rice, broth & salt to pot. Stir & make sure all the rice is covered by liquid. Put lid on pot & put the steam release handle in the Sealing position. Cook on Manual or Pressure Cook/High Pressure for 22 minutes. 10 minute Natural Pressure Release. 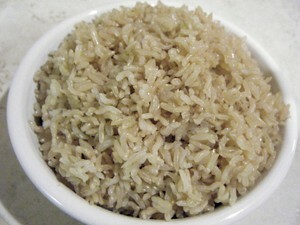 Remove lid & gently mix rice to fluff. * I used homemade chicken broth. If using canned broth you can omit the salt. * You can use any broth or just plain water. * Made in a 6qt Instant Pot.